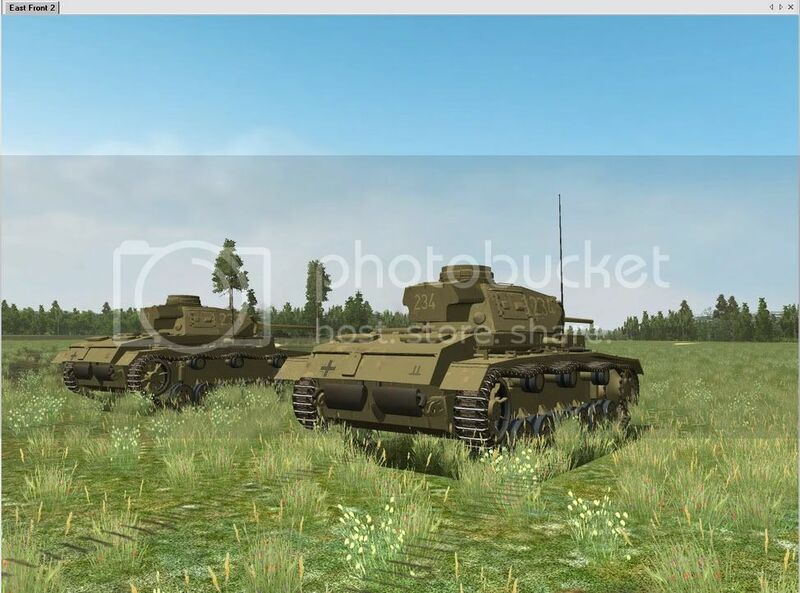 First I want to just say Thank You, I bought the game as soon as it was released with very high hopes of a realistic tank Sim, I was soon very dissapointed with not only the game but lack of support from the developers. I stowed the game on the shelf and figured it was just wasted money. I was very Happy to see that you are bringing this back to life and from the posts so far this looks amazing. Again Thank You for all the effort and hard work it must of taken to get to this point. I promise you I'll put "Fighten Commies" in your FC. I was part of the original Beta Test team, and was rather disappointed that they ignored most of the help we offered to get this right the first time. If there is anything I can do to help either project, please just let me know. That is awesome MajorMagee, I don't even know where to begin. you could give me a heads-up on. That would be a good start. 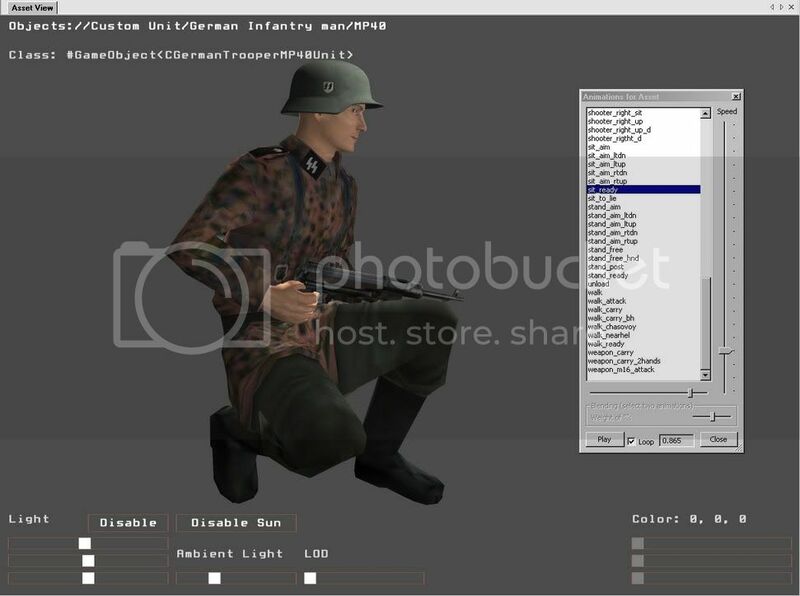 Will you be keeping those SS camo uniforms on the soldiers? Would be nice to see normal tunics aswell. Yes, they will be there, I will put up some stuff for the stock guys too. Well I figured you did, I hoped for some specifics I read that the export plugin is designed for Maya 5, is this correct? If it is it's kind of a problem, as Maya 5 was released in 2003 I think, I have no idea where to find that thing nowadays. Is there a point of anyone else doing any kind of mod work on T-34 until you finish? If yes what would you like to see? As you are aware the game is highly sensitive about scripts and any other mods could well cause a clash with your own, although multiple installs are possible but become tiresome. If so I am sure there are plenty of folk out there with models we would all like to see in game. I myself am anxious for a universal carrier with mortar or of course possibly the flame throwing version. With the above in mind would take submissions of models you have not already started on to increase the catalog of Armour in game? Of course I assume these would be released in the pending or future mission packs and I guess you would be willing to reimburse any modelers that were deemed by yourself as suitable suppliers. I assume you are aware that as soon as your models are released it is a simple matter to incorporate them into the multiplayer game aspect of T34 and how do you feel about this? Currently the only hindrance I have been able to discern to using non playable models in multiplayer is a script based one. But I think with enough understanding of the scripting syntax it is not impossible to have co-op based multiplayer games in fact that is a goal that I have been working towards in my own small way and I know it was a goal of others also. Your obvious skills with regard to the rigging and importing of models into the game engine has pretty much removed the necessity for me to learn maya. But have you made any attempts to use your models in multiplayer? If so is there any point in me continuing to work on making non player models work in multiplayer? Do you have any insights in that direction that you would be willing to share? Finally have you managed to resolve the issue of ambient sound effects such as wind in trees rivers running and the deathly silence that occurs when you switch of your engine? Many thanks for all your prompt responses and I look forward to seeing more of your work and if possible some in cockpit shots of some of your planned new additions to the playable lists. set you up. Then once you get setup learn the program, then let me know. The original developers went the road of game balance Vs. historical accuracy. Monstrous Tigers were no more a threat than the t-34-85 and often even in head on duels at 2,000 yards they would often crack your armor. There seemed to be no reason to drive the Tiger at all when they could just charge head on and knock you out without having to flank your position. Well I don't need to learn Maya, I'd just keep using 3dsmax and use Maya only to export the final product. But if the exporter is indeed limited to Maya 5 it sure is going to be a long time before I get a copy so I guess I'll have to stick to SF. And can I have an elephant? Last edited by VAseMkIII; 11-26-2009 at 02:39 PM. The Elephant was not used at Kursk. Although the same vehicles did see service as the Ferdinand there. There are numerous minor improvements made to the vehicles during the rebuilds, and the handful of Elephants were more useful than the original Ferdinands, even if only available in even more limited numbers. Total production was around 90 Ferdinands, and only those that survived Kursk were rebuilt into the later Elephant. 1. In Editor a fix for the roads tool. rail stations and airfields etc..
3. Winter and fall season change ability. 4. Progressive time change. Day and night with weather conditions. I'm not knowledgeable in Multi or co-op. the better at this point. But to talk about compensating at this time would be premature because there is no money coming in. But that is certainly a possibility though. Yes! with the condition I could add it to the Add-on with the free right to copy. I assume you are aware that as soon as your models are released it is a simple matter to incorporate them into the multi player game aspect of T34 and how do you feel about this? would like to be paid before you play. Although I think we can work together on these things. Currently the only hindrance I have been able to discern to using non playable models in multi player is a script based one. But I think with enough understanding of the scripting syntax it is not impossible to have co-op based multi player games in fact that is a goal that I have been working towards in my own small way and I know it was a goal of others also. That's great, I wasn't sure on that yet. Your obvious skills with regard to the rigging and importing of models into the game engine has pretty much removed the necessity for me to learn Maya. But have you made any attempts to use your models in multi player? If so is there any point in me continuing to work on making non player models work in multi player? Do you have any insights in that direction that you would be willing to share? longer mean a dead tank. It will continue to maneuver a slower speed for awhile before it dies. I was unaware this problem. Maybe I could fix it. Thanks Balrog, I'll post them when I have anything for you. worthy drawings so your answer is "Hell Ya!". But it's on the list the list as Ferdinand.